Clematis montana 'Grandiflora' (Clematis montana 'Grandiflora'): growing, planting, caring. A hardy variety - with four-petal white flowers. Does well in the shade. 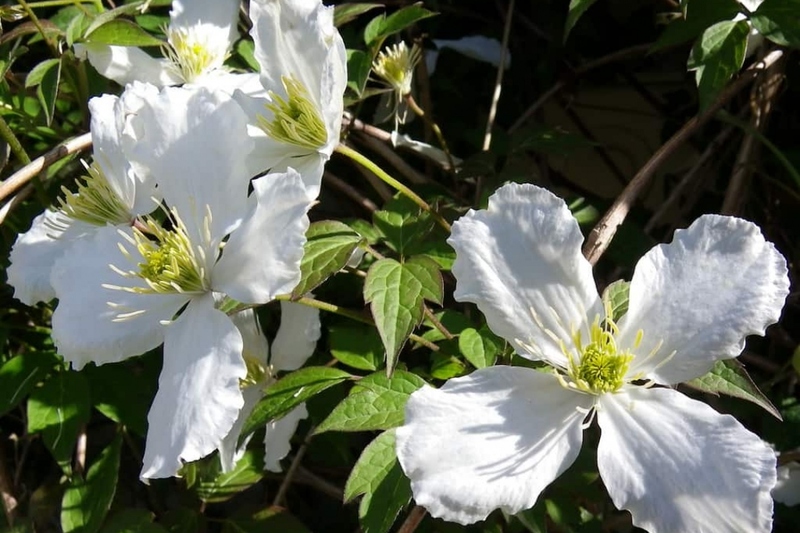 Clematis montana has white flowers of 10 cm with four petals and anthers of cream color. Its leaves are composed of 3 lanceolate leaflets, and it blooms in June. Cut your clematis montana after flowering, either in the summer or in the fall - it will not blame you! You must know that the more you cut the Clematis montana, the more it flowers! You should shorten the stems without pruning too harshly. Cut short only dead branches and fragile stems.